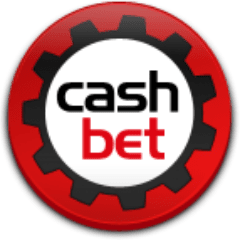 Developers of indie online casino software have a new tool to help them in their efforts with Cashbet now offering a development kit on their new gambling site. Those looking to create their own new real money gaming casino software have been offered a hand up with the new development kit being offered by Cashbet through their new cloud-based site. Cashbet is on a mission to change the face of the industry with their new take on game creation. Cashbet CEO, Mike Reaves said, "Every publisher and developer we speak with is interested in entering the online gaming market, but is concerned about the barriers to entry, such as compliance and security. Given our experience and platform offering, we make it easy for developers to focus on making great games while accessing one of the largest growing markets worldwide." Their main site has the usual offerings for passionate gambling enthusiasts and social gamers alike, but also gives indie casino games developers a chance to make their way in the industry through a partnership with Gamzio Mobile, among others. The overall goal of the development kit is to have new indie creators work hand in hand with the technology expert team at Cashbet, who will make sure that suitable math models are being used. The current options allow for game creation for Android and iOS devices as well as through HTML5 SDK with extra features such as a feature enabling a call back which keeps players up to date with what is happening with their games. Further support will be given to these indie online casino game developers through compliance and regulatory requirements being met as well as testing of the games. This means that those who are creating new content will be able to see their work active through Cashbet in approximately three weeks when the cash can start rolling in with use of the site's banking services and in good standing with location and age verification in place. The site's first offerings so far have been listed as those from Gamzio and other named developers, with the games available for players immediately on their mobile devices. The first of these is "Casino Island Adventure" which is Gamzio's first dive into the world of online casino development. Furywing, another new developer, is all set up to cater to the younger range of players in the real money gambling world through it's as yet unnamed social games. The system has been approved by the UK Gambling Commission, with the Alderney Gambling Control Commission having issued their license, and the New Jersey Division of Gaming Enforcement having given Cashbet a transactional waiver, allowing them to do business in the US market. Online casino operators in the Atlantic City market will be able to buy into Cashbet's new system once the license to operate in New Jersey has been fully enstated.